First things first – make sure that the place where your twins will sleep is taken care of. Will they have their own room or will they be staying in your room for a while? Will they be sharing a room? In any case, you should prepare a nursery for them, and you should make sure there is at least one crib in there. They might be able to share a crib at first, but as they grow so will their needs, so you’ll be getting two beds at some point. When it comes to wall color and décor, it’s up to you: you can choose something that’s gender-neutral such as yellow-gray or an orange-green combination. Another great investment is a recliner, especially a big one because you’ll be able to rock while you nurse your babies. Unless you get a good stroller, you won’t be getting far with our twins. Because there will be two of them, double strollers are the best idea, as you can’t exactly carry both of them in a swaddle blanket. Because your mobility will depend on it, a good stroller is a crucial piece of equipment for any parent, so make sure you carefully pick the right one. Your stroller should be comfortable enough so that your babies are happy being there, but it should also be easy for you to handle. If you want to find the best stroller, make sure you pick the one that can be folded easily so that it fits into the trunk of your car and that it can be easily maneuvered so that it fits into narrow spaces such as doorframes. Even though there are parents that swear it can be done, the majority of people will confess that they wouldn’t be able to handle everything if they didn’t have help. After twins are born, you can simply feel overwhelmed with the amount of work that has to be done and having a friend or a family member come over and give you a helping hand will make your life much easier. There is no need to feel bad about it. For most families with twins, help is a necessity, and babysitters aren’t considered a luxury, but not everyone can afford it. If you feel like you’ll need help, you can consider getting a full-time hired childcare, or you can ask a friend or a family member to help you out with chores and preparing a meal. Having babies is a dirty business, any parent will tell you as much, and having twins means you’ll be dealing with twice as many diapers. You’re going to need a lot of diapers, and before they’re born you should go out and stock up on them. You’re going to be changing between ten and twenty diapers per day, so try to do your math in advance, because you don’t want to find yourself in a situation where you need diapers and you don’t have any place to buy them. It doesn’t matter whether you choose to use cloth or disposable diapers, you better stockpile a stash or you might find yourself with two wailing babies in the middle of the night and not a diaper in sight. Are there any older children in the family? 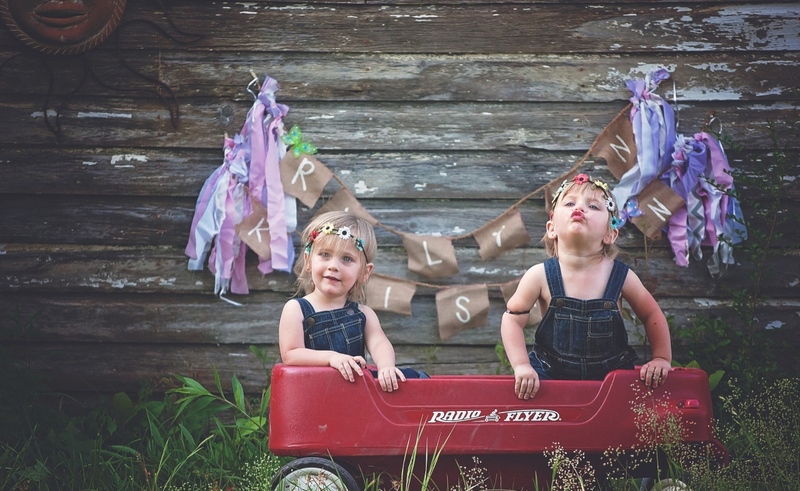 Will your twins have older siblings? If so, you should make sure to explain to your children that their lives are going to be different because they’ll be getting younger siblings in the future. The transition might not be smooth so you want to do some groundwork before they are born. Sometimes, older children are afraid their parents will not be paying attention to them as much as they used to, and you should talk to them and assure them that parents are able to love all of their children equally. This also means that you should prepare your pets too: bring some of your baby’s clothes and let your pets get used to baby’s scent. Because you will make some changes around the house as well, it’s important to make sure that everyone’s needs are met. It doesn’t matter if you’re a first-time parent of you already have children, at some point, you are probably going to start freaking out and you’ll be afraid that you aren’t ready for these babies. This form of panic is perfectly normal, and there is no need for you to panic. To help you feel more confident but also to help you prepare for what the future brings, you should attend a childbirth class. Another thing you could do to prepare for the delivery is to have a tour of the hospital or facility. Keep in mind that a traditional class might not cover everything you need to know when you’re expecting twins, but there are specialized classes you can attend instead. Pregnancy can be a magical time when you feel like you’re on top of the world, but it can also be stressful, especially if you’re a first-time parent expecting twins. On the other hand, each and every challenge you face is only going to make you stronger, so don’t be afraid of the great adventure that lies ahead. One day, your children will be able to look back and say that they’ve had a great childhood, and you’ll be a proud parent.